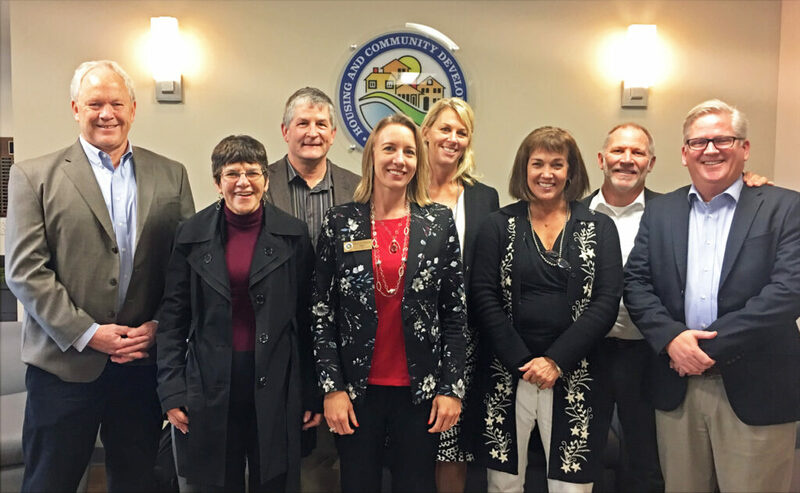 The Encinitas City Council soldiered through our governing responsibilities yesterday morning, addressing our city’s thorny state-mandated housing element. Some days are tough, and upzoning parts of our precious community to 30-units per acre is a painful ordeal. We’re really under the gun here. Changes in state housing laws, housing lawsuits hanging over us, and the fact that Encinitas is the only city in San Diego County that doesn’t have a housing plan to accommodate growth, all conspire to create a highly pressurized perfect storm. Saturday’s four-hour public forum was useful and productive, but we have more work to do before a state-approved housing plan is ready for the voters in next November’s election. Pictured above at the center table as each potential site is evaluated are (l. to r.) Councilmember Tasha Boerner-Horvath, Planning Commissioner Bruce Ehlers, Councilmember Mark Muir, me, Deputy Mayor Tony Kranz. former Planning Commissioner Kurt Groseclose and Councilmember Joe Mosca. Reflecting on our undertaking, I’m struck with gratitude for my four council colleagues and our two community members who are all evaluating sites in good faith, with a citywide perspective and a solid commitment to getting this accomplished logically and fairly. I’m also grateful for the many insightful contributions of Encinitas residents, and our accomplished staff and consultant team. In addition, we’re working with one of the most respected housing attorneys in the state, Barbara Kautz, whose expertise is clearly demonstrated and her reputation repeatedly confirmed. We truly have a great team. Together with our two advisory members, the seven of us are following the new state mandates and evaluating vacant sites in the city to determine where affordable, high-density housing could be located. We are adding the zoning for about 1600 units of housing to the city’s current housing stock of about 20,000 units. The laws are aimed at providing housing for lower income people, such as a family of three that makes between $41,000 – $65,000 a year. This is housing for people with essential jobs – mechanics, kindergarten teachers, court reporters, nurses, paramedics, dental hygienists, and store managers. As part of our commitment, a delegation from Encinitas flew to Sacramento on Thursday for a three hour meeting with state housing regulators in advance of Saturday’s meeting. Standing in front of the Housing and Community Development sign are (l. to r.) Planning Commissioner Bruce Ehlers, Attorney Barbara Kautz of Goldfarb & Lipman, Deputy Mayor Tony Kranz. me, Development Services Director Brenda Wisneski, Project Manager Diane Langager, former Planning Commissioner Kurt Groseclose, and Kimley-Horn Consultant Dave Barquist. The newly enacted state laws require that at least half of the upzoning be on vacant land that is likely to be developed into housing in the next three years, which is considered the remainder of the “planning cycle.” Any site that isn’t vacant and already has development on it requires further documentation, such as the owner’s interest in housing development. Our commitment is to spread the upzoning among the five communities of Encinitas as evenly as possible. Our first pass yesterday resulted in good progress, but we still fell several hundred units short of our goal of finding places for 1600 units. And so our arduous, but essential, undertaking continues. We’ll be scheduling another similarly formatted public meeting in early January as we work to narrow in on a plan that complies with state law to take to you, the Encinitas voters. Previous Post12/10/17: Fire, Sand and GrassNext Post12/24/17: Good tidings to all; plus final 2017 Council meeting!